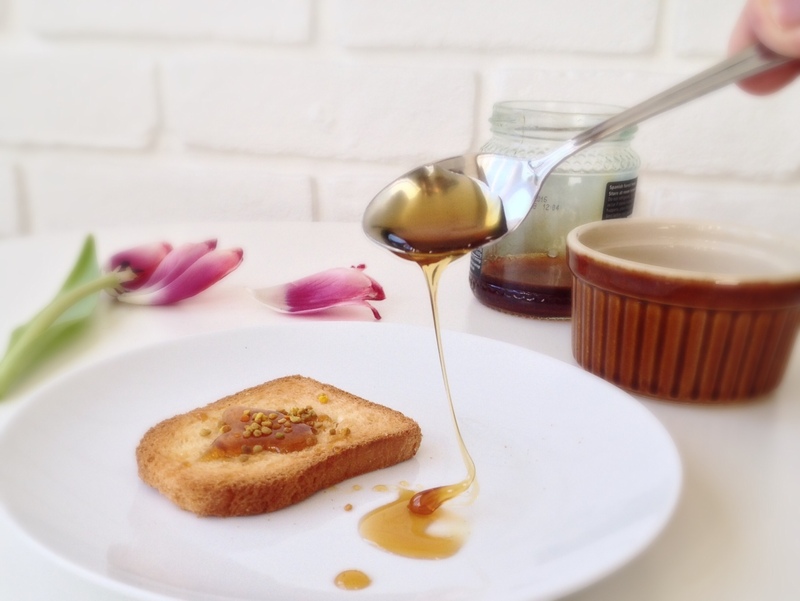 The first time I heard the term “propolis” was over ten years ago, when my friend Simona was studying for her Degree in Botanical Sciences. 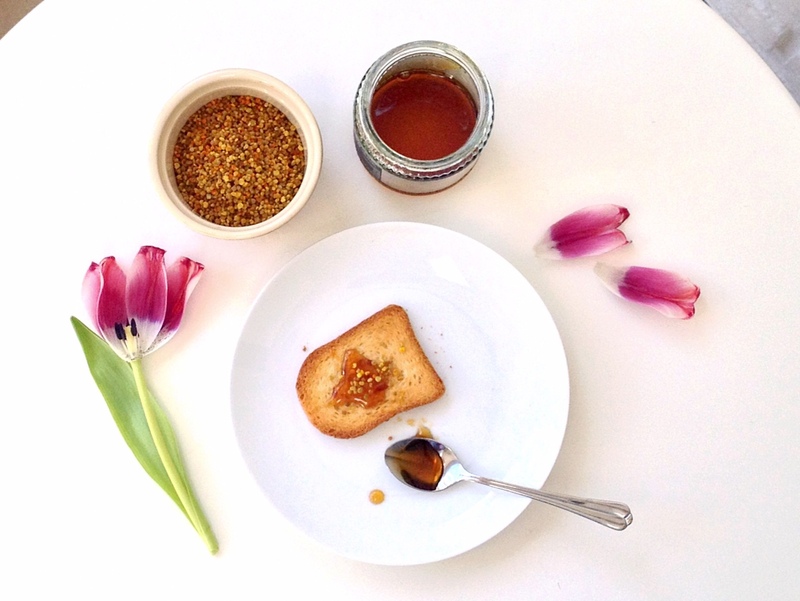 Every time some of our friends had a flu or sore throat, Simona would say “get some propolis, it will help”. I was a bit skeptical at the beginning, but more recently I have started using propolis especially cause I travel very often and my respiratory tract used to be often troubled with cough or pharyngitis and laryngitis, and despite is not a miraculous compounds, it really makes a difference. Then I read a bit about it, asked around, spoke to beekeepers and to herbalists and I discovered that propolis has several different uses and it is really an extraordinary product. 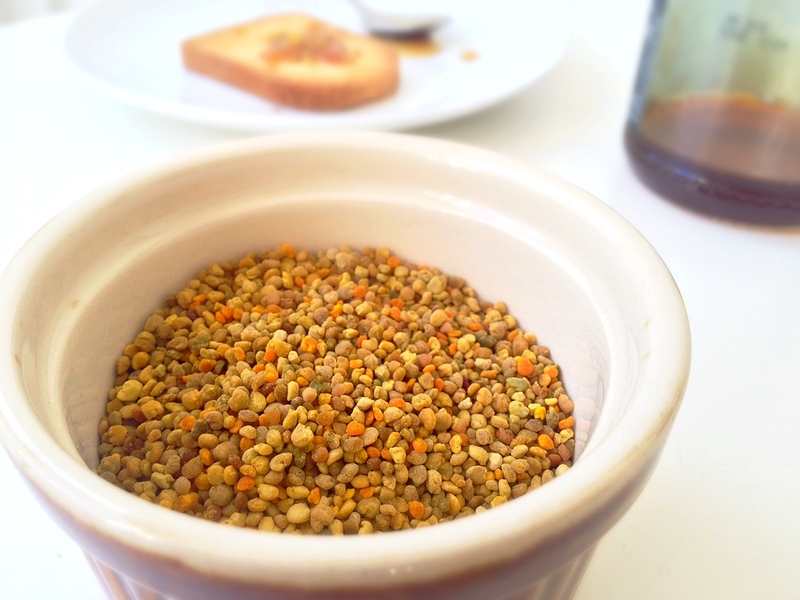 So…what’s propolis? Propolis is a mixture of compounds (resins and balsams (50%), wax (30%), essential oils, fatty acids, aminoacids, vitamins, polyphenols, flavonoids, pollens) that honey bees collect from sap flows, tree buds, flowers or other botanical sources. Propolis is used by bees to reinforce the structure of the hive, to seal damaged areas of the hive wall and prevent parasites from entering and to inhibit fungal and bacterial growth in the hive. Furthermore, when small animals, like lizards, enter in the hive and die in it, bees would try to seal the carcass in propolis (as a sarcophagus) in order to prevent oxygen to start the putrefaction processes and bacteria and other diseases to develop and contaminate the hive. The composition of the propolis can vary depending on the season and on the region where the bees live, as different would be the types of plants available. Together with the composition, the colour, aroma and flavor of propolis can be very heterogeneous: from green-yellow when from pines, to reddish from poplars, to almost black when from birches. The use of propolis in natural medicine goes back thousands of years. There is evidence for the use of propolis by Romans, Greeks and Incas. In the Ancient Egypt, proplois was used as ingredient to mummify corpses and as treatment for skin infections and wounds. Stradivary used it as wax for his instruments and nowadays propolis is still occasionally used as wax for violins and other string instruments. Propolis is also used in the car industry as component of some types of car wax. I have used propolis as raw compound (spheres of 2-3 mm in diameter that you can also see on the legs of the honey bees if you have ever paid attention), as unguent and as pills. In herbalist’s shops you can also find it in cream, extract, essential oil, powder and in several other forms. The different forms can be used to treat different conditions. The National Institutes of Health describes propolis as possibly effective remedy for cold sores, herpes and post-surgery mouth pain. 2. Prevents and treats respiratory-tract infections and inflammations – Either chewing raw propolis or propolis pills, or mixing 20-30 drops of propolis extract with water or with an herbal tea propolis can be used as remedy for pharyngitis, tracheitis, tonsillitis, gingivitis and gum inflammation. 3. Natural antibiotic and antiviral – propolis is known for its action against several bacteria and flu viruses, rhinovirus and the herpes simplex, inhibiting the growth and reducing the spreading of these viruses. 4. Emollient – propolis is effective in treating the inflammatory effects of skin burns. 5. Healing skin wounds – propolis accelerates the regeneration processes of skin cells, contributing to a faster healing of wounds. 6. Oral hygiene – it has been suggested that propolis could protect against several mouth conditions including dental caries, thanks to its antimicrobial properties. 7. Antioxidant – flavonoids are present in propolis and are powerful antioxidants, capable of detecting free radicals and thereby protecting the cells from ageing. 8. Immunosuppressive and immunostimulant – for example propolis is used as booster for some vaccines. 9. Improves digestion – propolis facilitates the absorption of Vitamin C, the secretion of gastric fluids and has diuretic effects. It’s really amazing the potentiality hidden in these little pearls. I enjoy chewing half teaspoon of them in the morning when I wake up and before bed, es emollient for my throat that is often sore (too much talking, I suppose!). I also buy pills of concentrate propolis when the sore throat is getting worse, for example when I have flu. The taste is a little bit waxy and honey-like, and it gets more intense when the little pearls slowly melt in your mouth. If you want to use propolis for your stomach, then you don’t need to let it melt in your mouth but you can simply eat it, maybe mixing it with raw fruit, with your favourite yogurt, mixed with eggnog (I love it!) 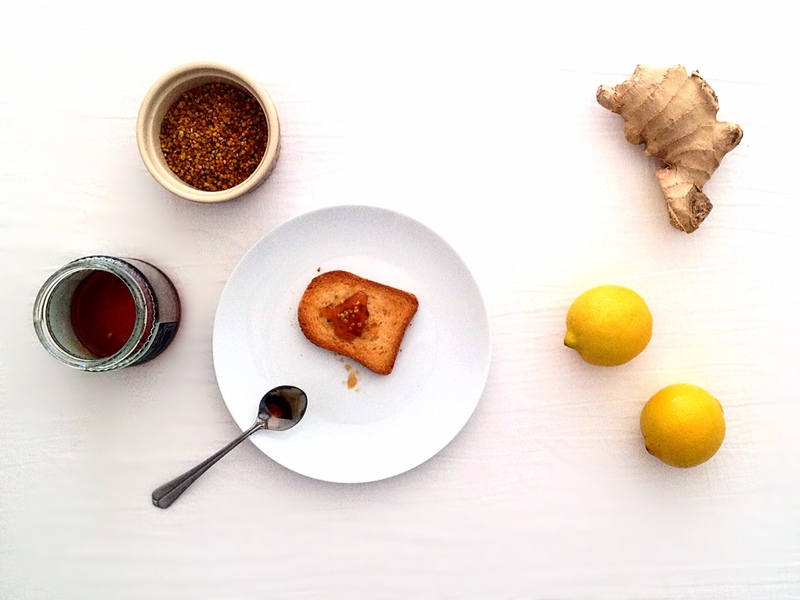 or with some honey on your breakfast toast… just use your fantasy! I hope you are now a bit curious about propolis, in case this is the first time you have heard about it. Go to an herbalist shop, ask about it, give it a try and let me know. I guarantee you will not be disappointed!